This 3x5 size pocket booklet contains illustrations and photos of simple self-help techniques that have shown to be highly effective in helping to resolve a multitude of health issues that standardized medicine have not been able to resolve. It does not contain the extra information and instruction of the Self Help book, but is an easy to carry anywhere reference guide to procedures in the Self-Help book. The Self-Help Book has been the highest in demand book for years and now is in a convenient pocket size to take with you anywhere you travel. 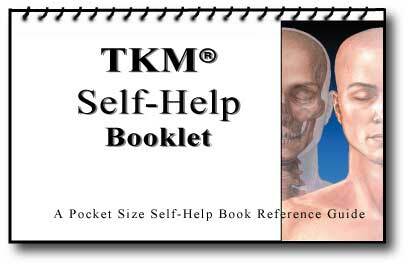 To learn more about the TKM®: Self Help course, visit the Education page.